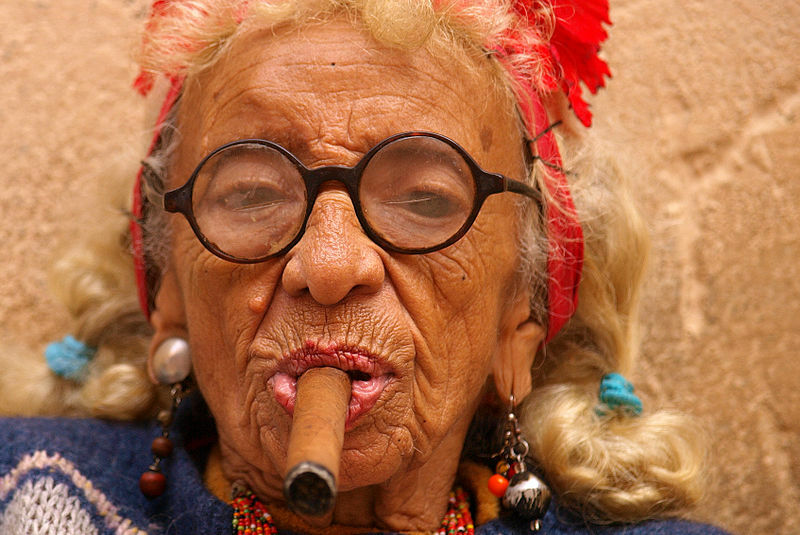 Woman Smoking Cigar in Cuba. By Tibor Végh, Hungary. Published April 11, 2014 at 800 × 535	~ Post a comment or leave a trackback: Trackback URL. Many thanks to Tibor Vegh for this photo of a formidable Cuban lady. Love all the textures within this photo – and the cigar, the glasses, the earrings . . . Thank you for commenting Karen – she’s quite a lass isn’t she? Wow, here’s a character. Would love to know her story. She’s quite a dame isn’t she Don? Ha-ha, love this one! That enviably cool look in her eyes is brilliantly captured. One of my favourite shots; you’re quite right, she certainly is a cool lady. Many thanks for commenting.